Leaving a gift for future generations is one of the most significant acts of gratitude you can perform. Individuals have the opportunity to leave a legacy to their family and their community by participating in the Dignity Health Foundation East Valley's Legacy Society. An endowment gift is an amazing way to show your gratitude and support into the future. An investment fund is set up within the Foundation from a gift or bequest where the principal (original gift amount) is maintained intact and then invested to create a source of perpetual income to support the program identified by the donor. The founding members of the Builders of Excellence Endowment Society are: Alexis and Garrett Richards in honor of Dr. Terry Happel, Jane Hanson in memory of Suzanne More Shelton, The Apodaca Family, The Mortenson Family, The Rayhons Family, Terry Miller in memory of Mark Lee Miller. A planned gift can be best described as any gift of cash, stock or personal property that requires the services of a professional such as an attorney, estate planner, CPA, financial planner or insurance broker. A planned gift can be an important part of an estate plan, providing an excellent method of reducing taxes. Our planned giving program was established to allow donors to make larger gifts than otherwise possible without undue financial sacrifice. These types of contributions allow you to enjoy the financial benefits and recognition of such a gift, along with the knowledge that your support has made a difference into the future. 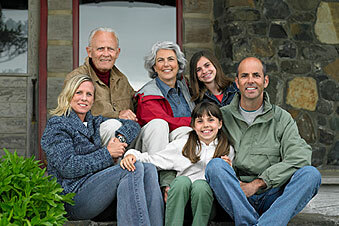 Foundation staff can assist you and work wiht your financial advisor. *Please note when making a rollover distribution from an IRA upon the advice of your tax advisor it goes directly to the hospital, your gift will be recognized by the Foundation. You may gift cash, securities, real estate or other assets to the Dignity Health Foundation East Valley in your will. It is also possible to establish a Charitable Remainder Trust by means of a will and provide income to the beneficiary of your choice. Making a bequest is as simple as adding an amendment to your will. The Foundation encourages anyone wishing to make a planned gift to seek the counsel of a legal or tax advisor to discuss your ideas. Donors who are considering making a planned gift are also encouraged to contact the Foundation early in the process with their intent, to help ensure we are prepared to accept the gift and that your wishes can be honored.